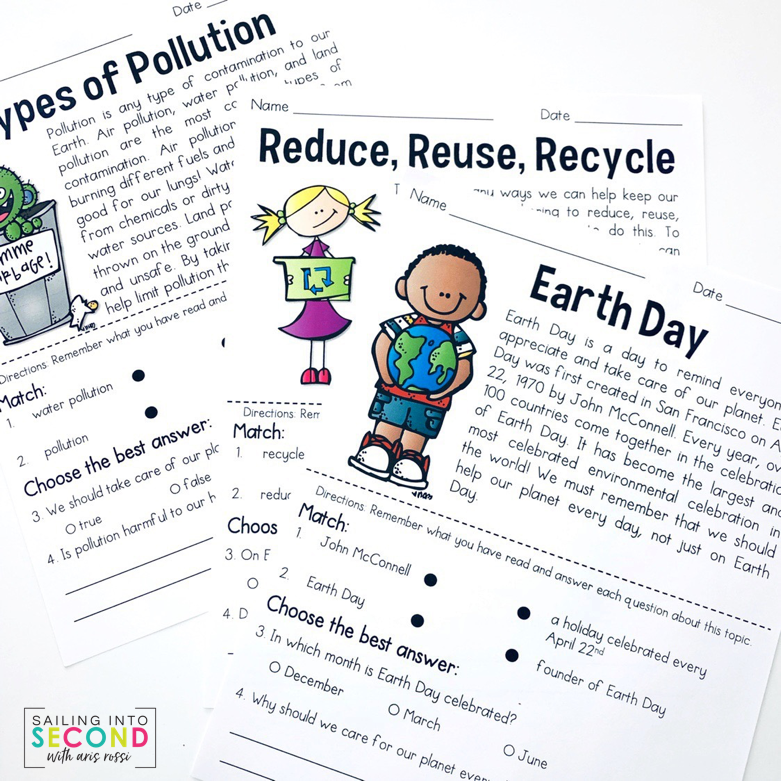 Earth day is right around the corner and I have some easy prep ideas to help teach your students all about caring for our Earth! The first thing I like to do when introducing a new unit is creating an inquiry chart to assess and activate their background knowledge. It’s really similar to a traditional KWL chart, but we fill out the “L” what we learned portion at the very end. Here’s an example of an inquiry chart below. I usually post it up on my whiteboard or on a bulletin board for the students to reference throughout the unit. Once we’ve gone over important new vocabulary, we start reading informational text passages during small reading group centers. I use passages I’ve created, as well as other resources like Time for Kids or Scholastic Weekly Readers. 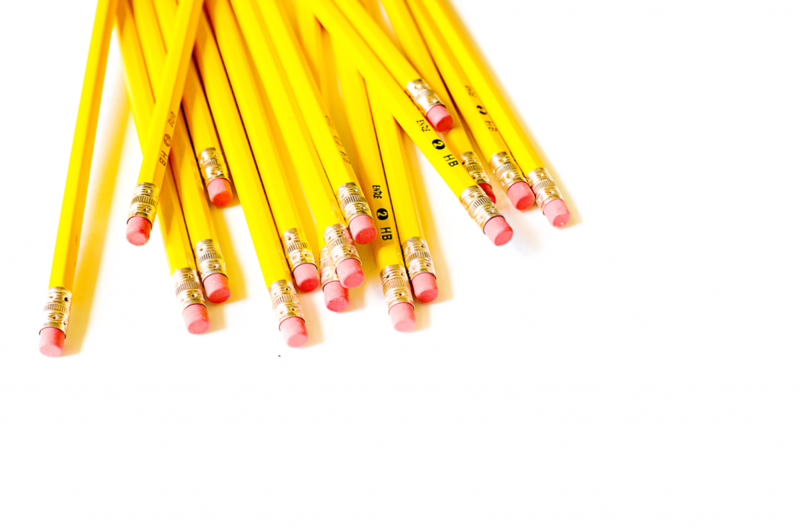 You can even find tons of information online through Newsela. 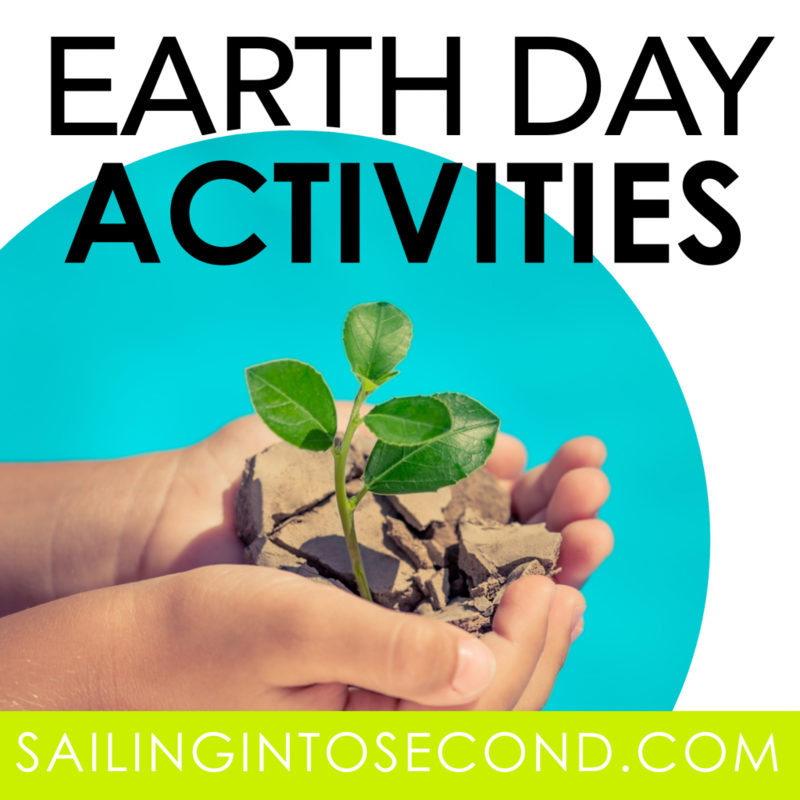 I’ve linked up some great online Earth Day articles HERE for you as well! We spend a few days doing close reads with these passages to really soak in all the great information found in each one. 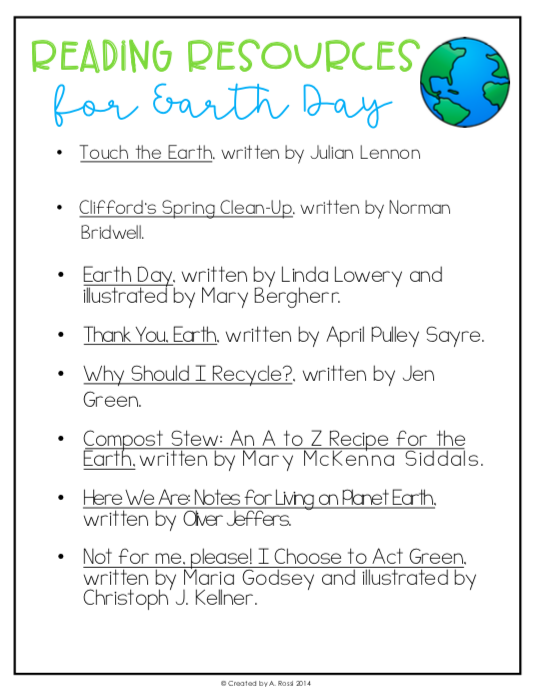 I also love to incorporate picture books into our Earth Day unit. Some of my favorites are listed below in this awesome picture book list I’ve compiled for you. Just click on the image of the list below to download a copy for you to use. Each book title is hyperlinked to the exact copy on Amazon (affiliate links). Super easy! In addition to all the informational text reading, we dive into the academic vocabulary using a vocabulary matching game. 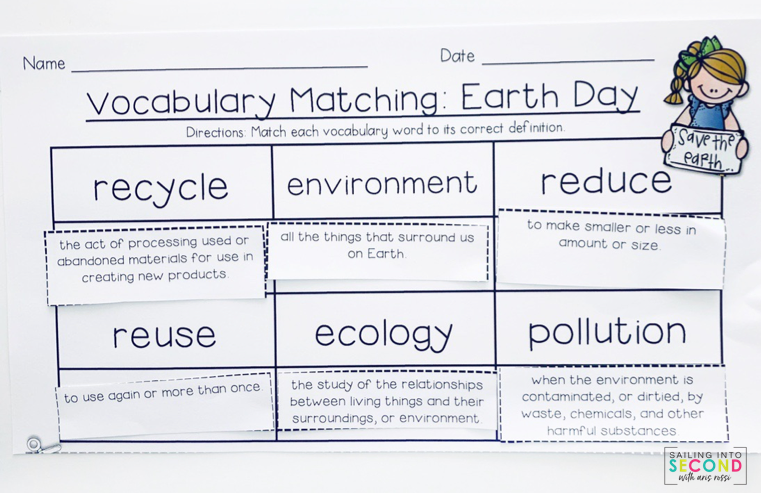 Matching activities It really help students remember the specific vocabulary for our overall Earth Day unit. And recycling sorting activities are perfect for reviewing that academic vocabulary while engaging students! Below is an example from my students’ digital sort they completed on Google Slides! They dragged and dropped each image into the correct recycle, reduce, and reuse columns. 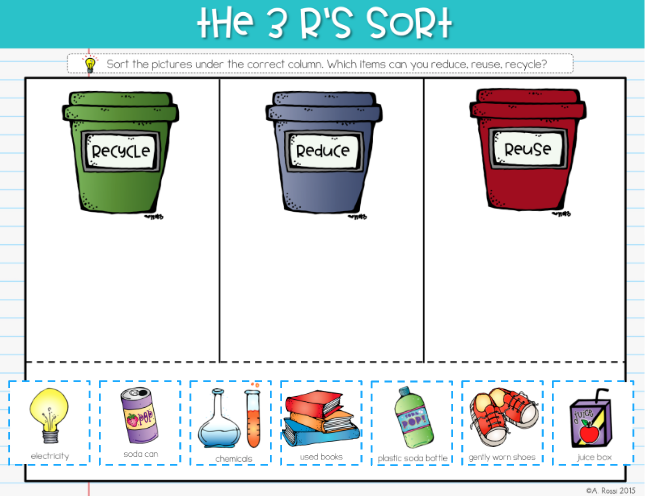 Would you like to use this digital sorting activity with your class? It’s compatible with Google Classroom™, Google Slides™ or via Microsoft OneDrive™. You can even use these with SeeSaw and PicCollage! Just drop your name and personal email address in the contact box at the end of this post and I’ll send it over to you right away into your inbox! 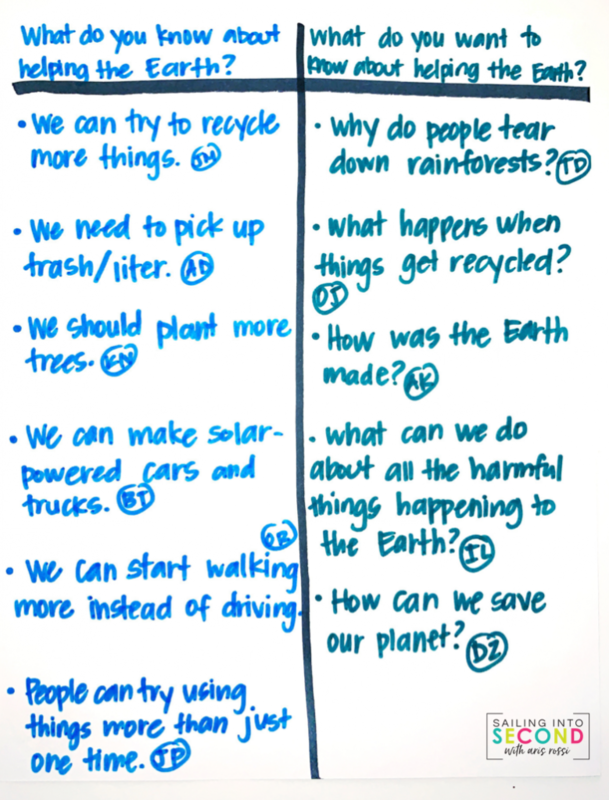 I hope these Earth Day activities help you teach your students all about Earth Day! 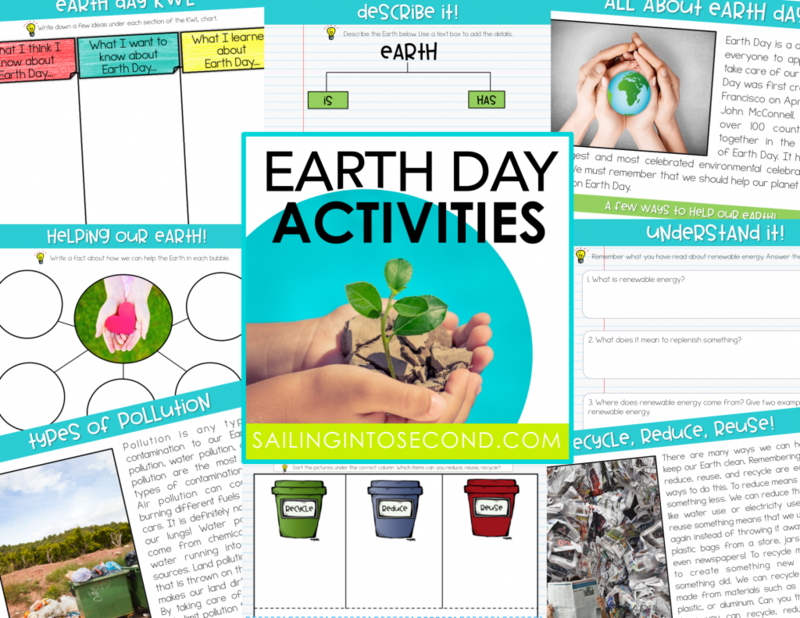 Check out all of my Earth Day teaching resources below in my TpT shop! Just click the image to see them all.